Will Haskell is running for state Senate in Connecticut's 26th District. Former President Barack Obama issued a second wave of endorsements on Monday. With them is 22-year-old Democratic candidate Will Haskell, who is running for state Senate in Connecticut’s 26th Congressional District. Haskell grew up in Westport, Connecticut, and graduated from Georgetown University in 2018. He interned on Capitol Hill whenever possible, and has accumulated considerable experience for a 22-year-old, he said. Haskell has also secured the support of U.S. Sen. Chris Murphy, who campaigned with state Democrats in a fight to keep the single-seat Democratic hold on the Senate. 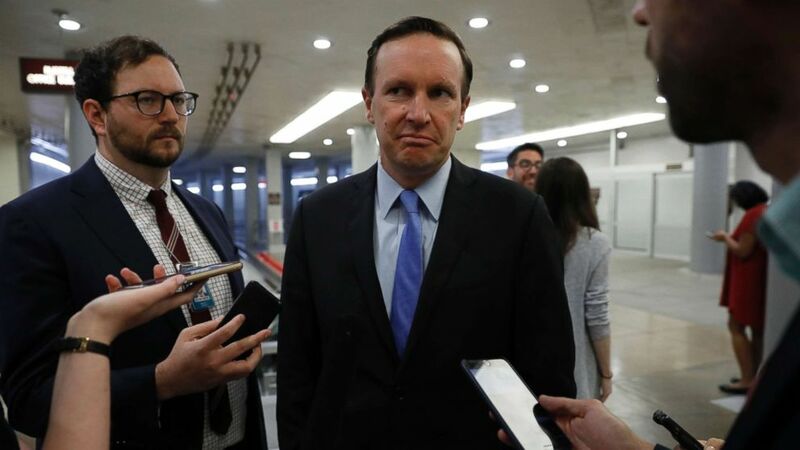 (Aaron P. Bernstein/Getty Images, FILE) Sen. Chris Murphy speaks with reporters ahead of the weekly policy luncheons at the U.S. Capitol, June 26, 2018, in Washington. His campaign is chock-full of progressive promises, including updating environmental policies and protections, stricter gun legislation and revitalizing the state’s narrowly growing economy. The population is only expected to grow 1.7 percent by 2040, according to the Connecticut State Data Center at the University of Connecticut Library. That’s largely due to an increase in people leaving the state, according to The Connecticut Mirror. Haskell wants to combat the slow growth with improved transportation, calling for more tolls on the roads and improvements to railroad infrastructure, according to his campaign site. Haskell is running against Republican incumbent Toni Boucher, who has represented the district since 1996. Boucher has made two exploratory runs for the governorship, but ended her most recent one after a lag in fundraising, which kept her from participating in the GOP gubernatorial forums. She is well-known in the statehouse for her strict opposition to looser marijuana laws. Haskell’s candidacy comes with a wave of Democrats taking on GOP incumbents across the country. He said the responsibility for change is increasingly falling on state legislatures. 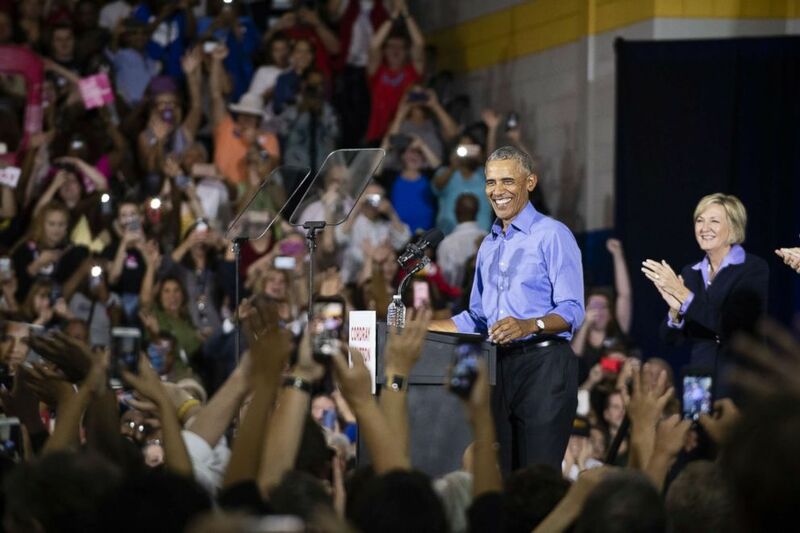 (Angelo Merendino/Getty Images) Former President Barack Obama speaks during a campaign rally for Ohio Gubernatorial candidate Richard Cordray at CMSD East Professional Center Gymnasium on Sept. 13, 2018 in Cleveland. “I think that is what is so inspiring about President Obama deciding to get involved in races like mine, where, frankly, U.S. presidents don’t typically weigh in," he added. "I think President Obama, as a former state legislator, knows the importance of what happens in state capitol buildings."